Chilean Finance Minister Felipe Larraín and his Mining counterpart Baldo Prokurica said today that the government that came to power in March will ensure state copper giant Codelco receives capital incentives so that it can continue to grow. Following Codelco’s annual shareholder meeting, Larraín and Prokurica said the new capitalization process and the amount that will be provided have to be defined by July 30, 2018. 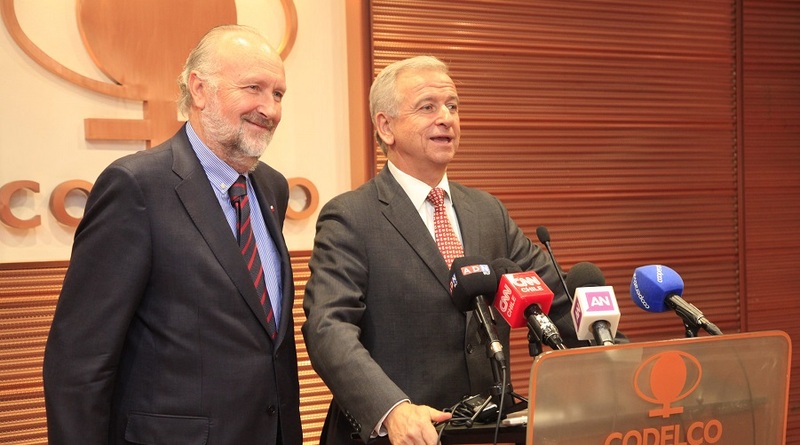 “Codelco is dealing with the challenge of a very ambitious investment plan. Despite what it entails, such a plan is very much needed so that the company continues to be the leader in the copper market. If we don’t invest, Codelco would disappear. We, as government, are going to support this process. We will also step in with the capital that is needed to keep up with our credit good standing,” Larraín told journalists gathered outside the meeting. Previously, Codelco CEO, Nelson Pizarro, said that it is necessary to establish a long-term capitalization or retention plan because the state investment plan is in place only until 2027. Doing so, he said, would minimize financial risks and allow for the stabilization of the firm’s debt, which currently adds up to $14 million. In this context, the Finance official reminded Codelco that it has to comply with the austerity instructions issued by his portfolio on April 11, 2018. According to Larraín, the company has to start reducing operational costs. Minister Prokurica, on the other hand, said that Codelco has to keep up production levels so that it can remain Chile and the world’s No.1 copper miner. The copper giant holds vast deposits of the red metal, accounting for over 10% of the world's known proven and probable reserves and about 11% of the global annual copper output with 1.8 million tonnes of production.